The Fury Organization has one of the best off-ice programs in AAA hockey – perhaps in the United States. The organization has invested significant resources into their strength coaches, weight room, and off-ice training components. 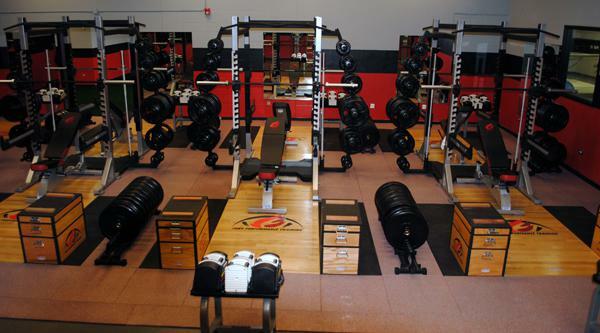 The Off-Ice facilities (Turf and Weight Room) were designed with NCAA Division I specifications. Recognizing the escalation of competition across North American, specialized strength training for hockey is extremely important as a differentiating factor amongst competing players. Off-ice is customized by age group and programming has been devised in accordance with USHL, NCAA, and NHL training principles based on direct experience from instructing players at these levels. Beginning with the 10U age level periodic testing is recorded in a personal file on a regular basis to measure individual progression and performance related to growth and strength. "Jeff Blindauer and his staff demand all out effort and attention to detail because that is how they approach their own jobs individually. Jeff's ability to create a competitive, explosive environment is as elite as the science of the training he provides. He genuinely enjoys seeing the progress he's able to facilitate in players' careers, no matter the talent or age level. Jeff Blindauer is trying to help Illinois hockey improve as it should."